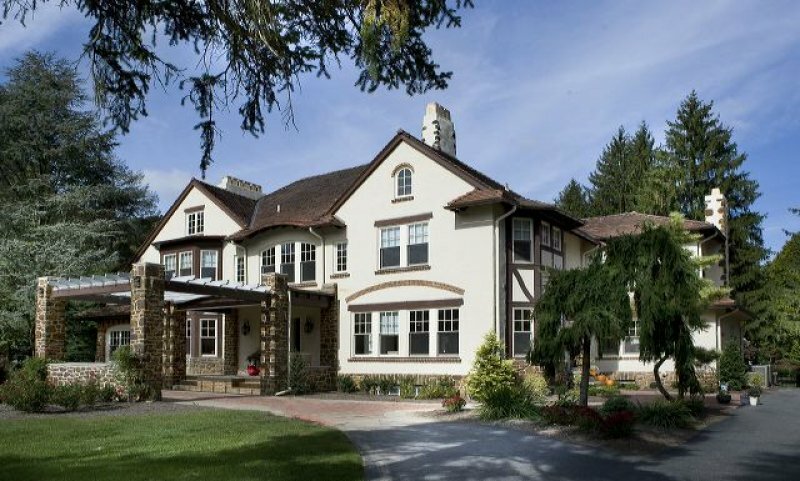 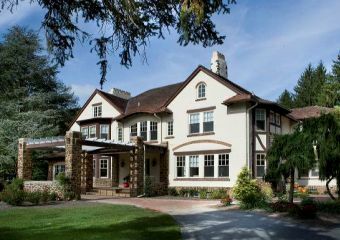 This classic stone and stucco 1920’s Mediterranean craftsman in Moorestown was built on six acres on Oak Avenue. 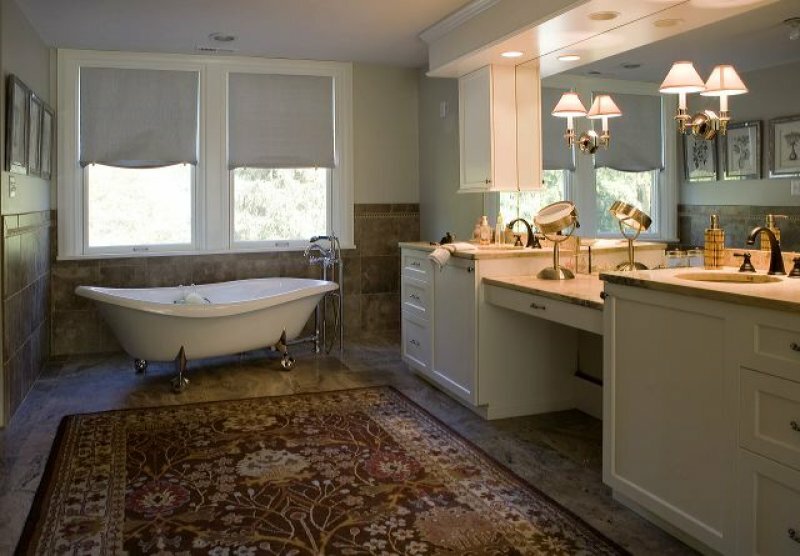 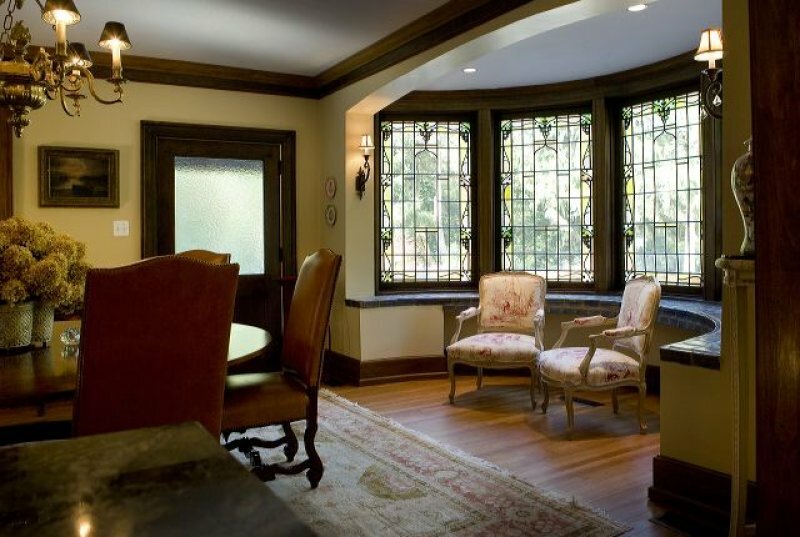 It includes a red tile roof, hardwood floors and stained oak trim throughout the house. 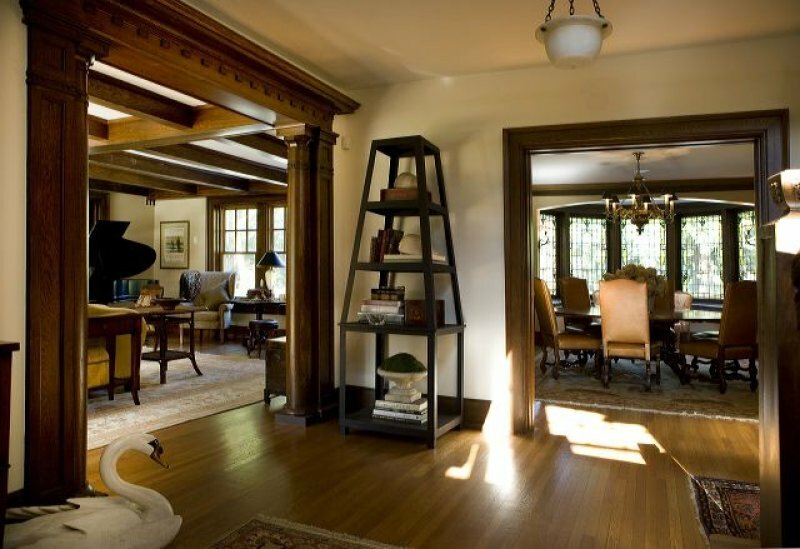 The house was a mess when Paul and Jamie Martin took on this major undertaking to restore and open up this house, within the original footprint. 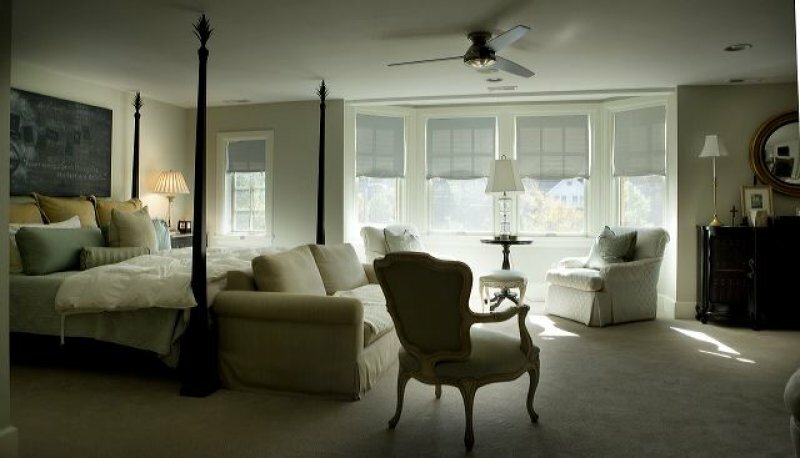 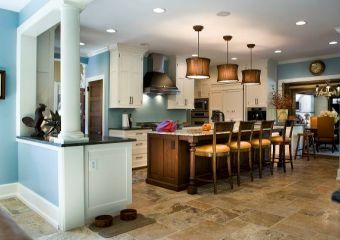 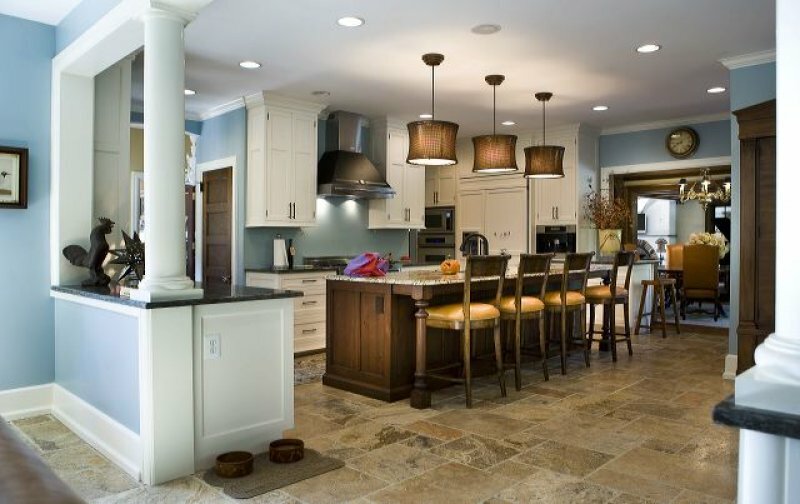 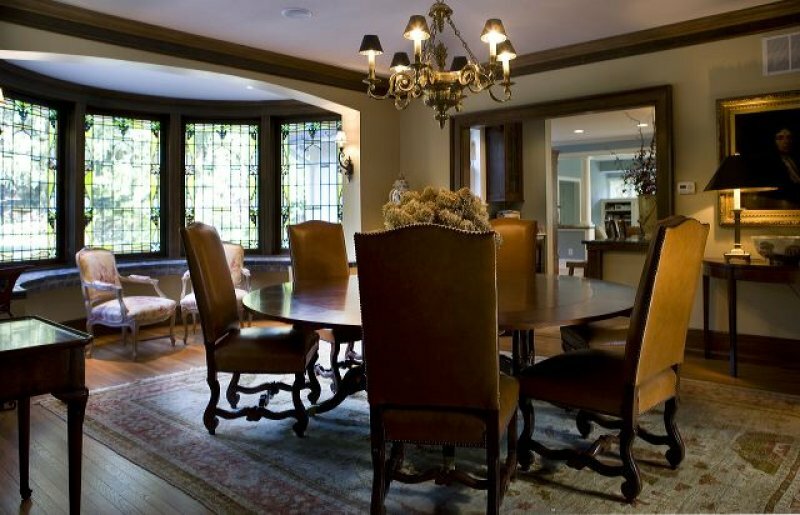 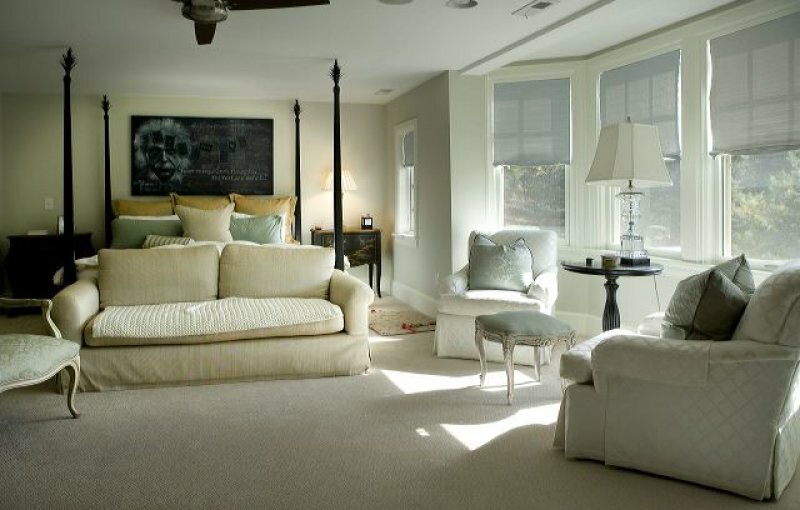 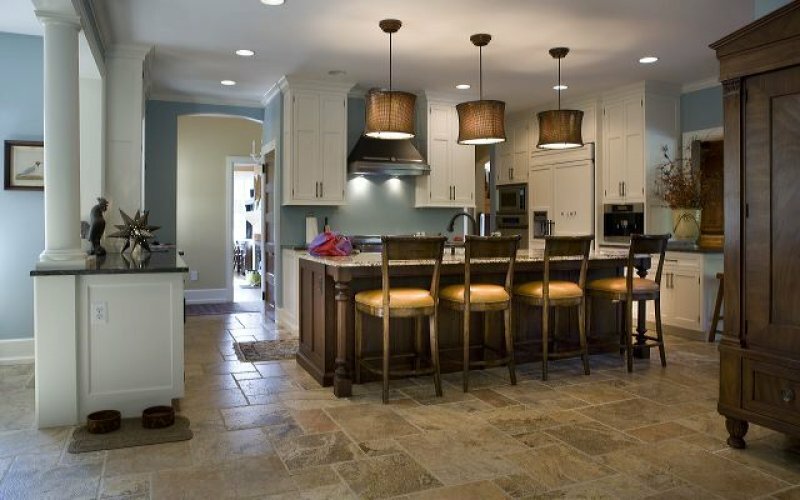 Originally a seven bedroom home constructed with multiple small rooms, we opened up the house and created a great kitchen that is open to a new family room and breakfast room area. 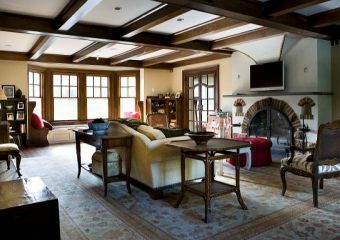 The original living and dining areas remained. 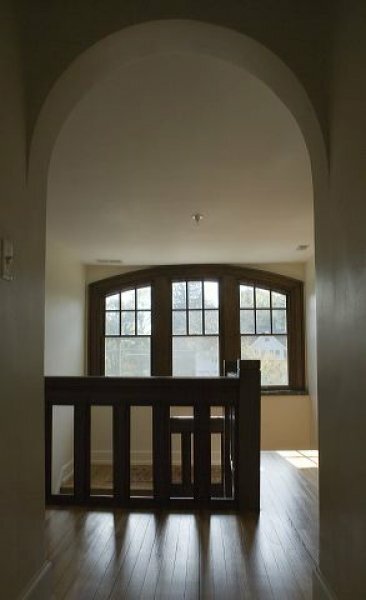 The sunroom was enclosed with new glass. 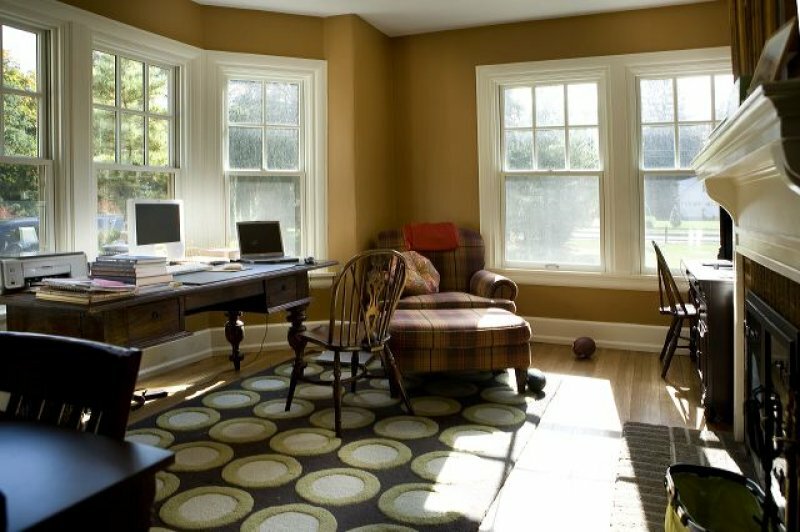 An attractive and light home office was refurbished. 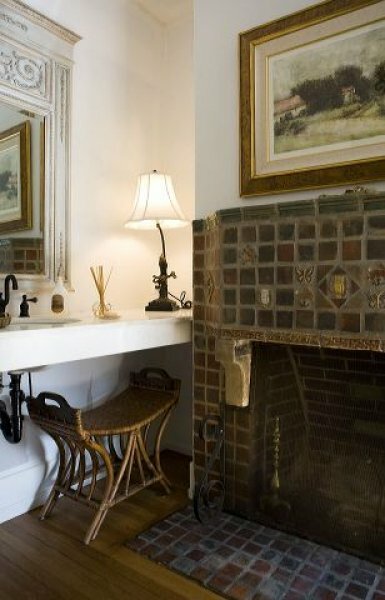 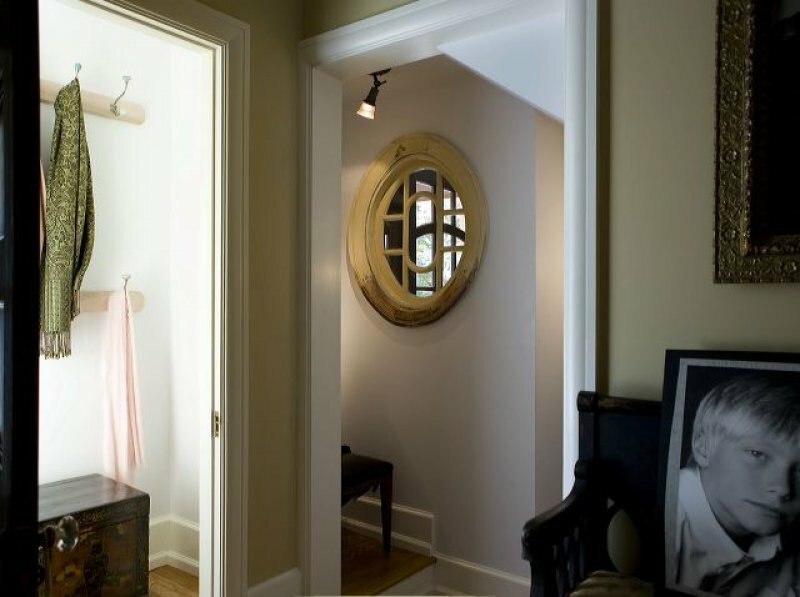 All six fireplaces remained, although one ended up in the newly created powder room, making it one of the most interesting powder rooms we have ever done. 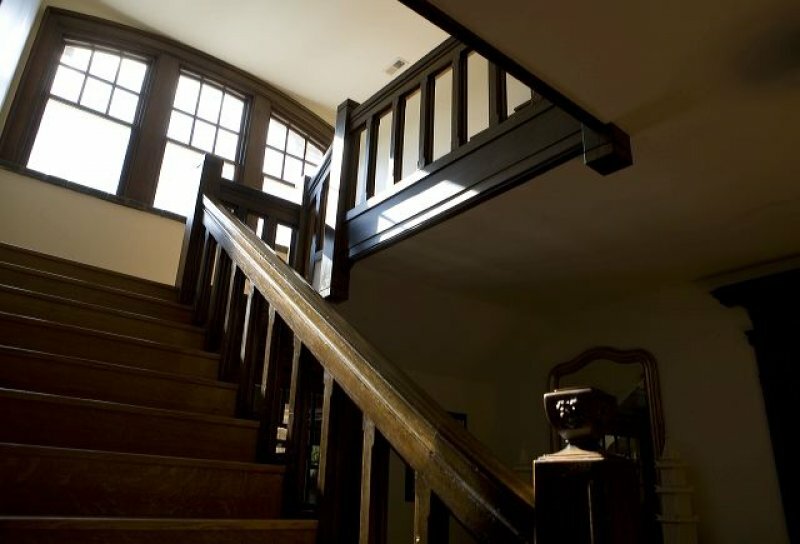 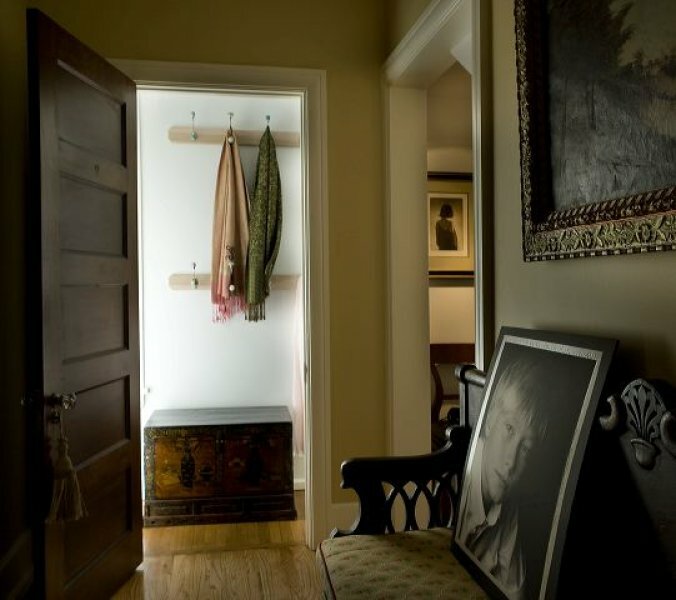 Up the original oak stairs the bedrooms were altered to create a generous master suite, separate suites with private baths for the two children and two guest rooms. 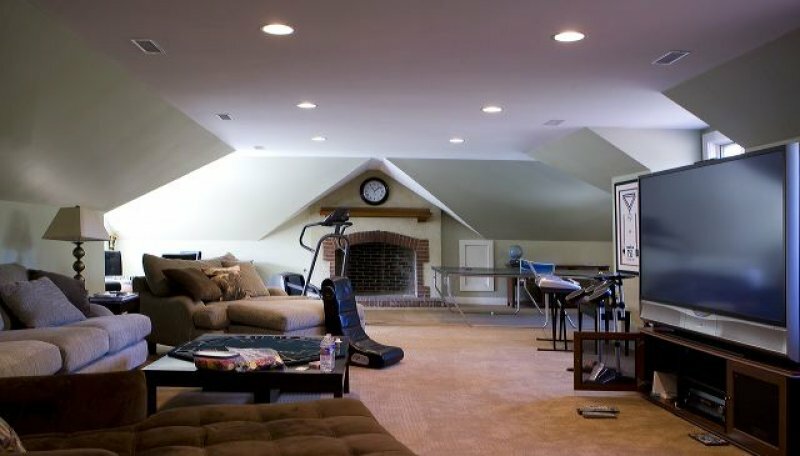 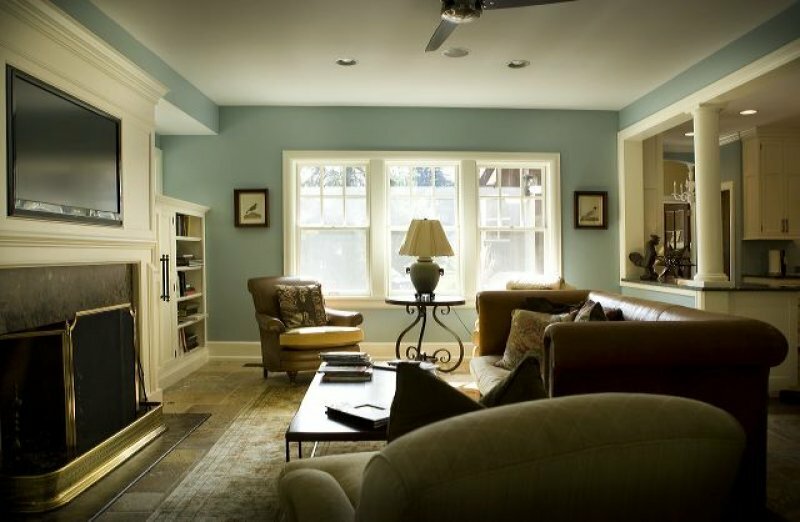 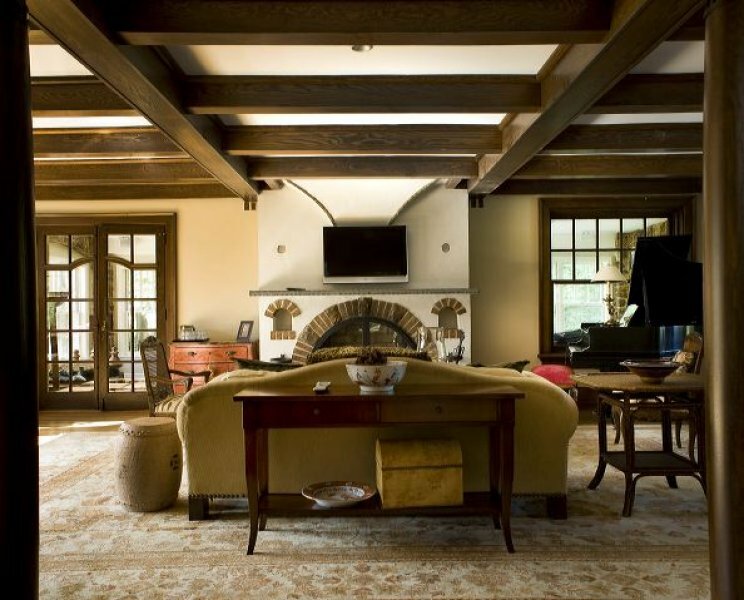 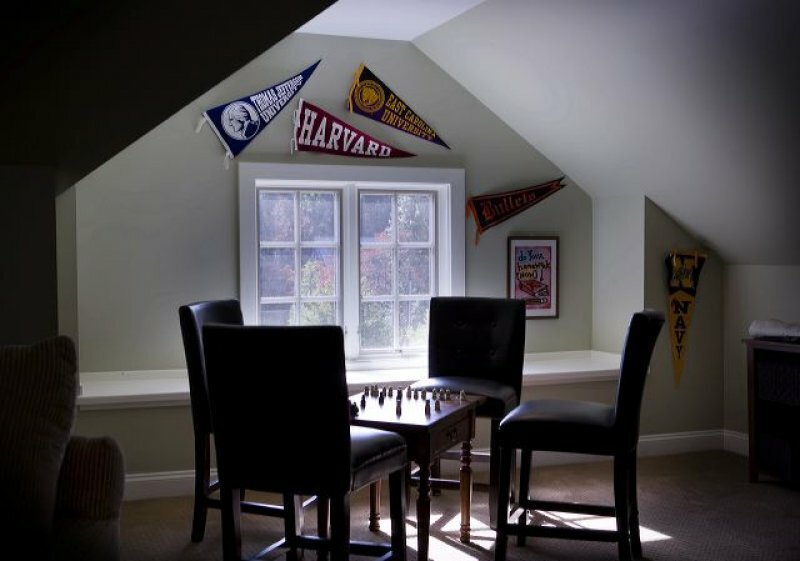 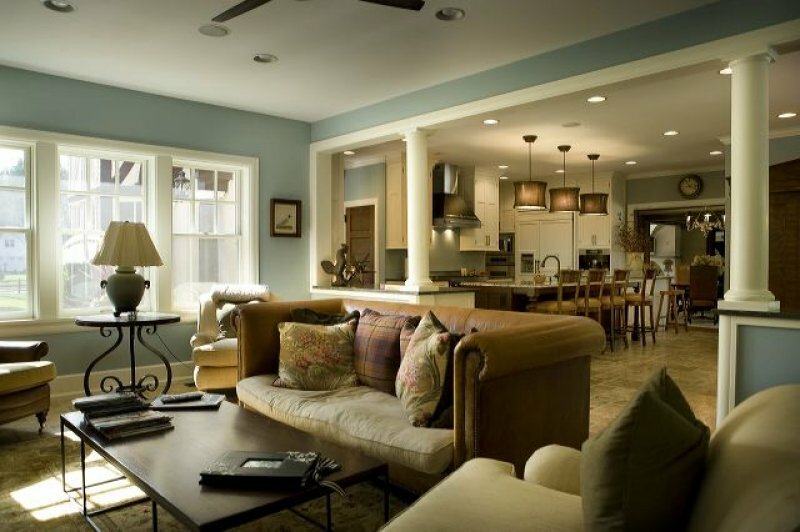 A third floor retreat is one of the most fantastic rooms with a huge original fireplace, new pool table, and TV area.